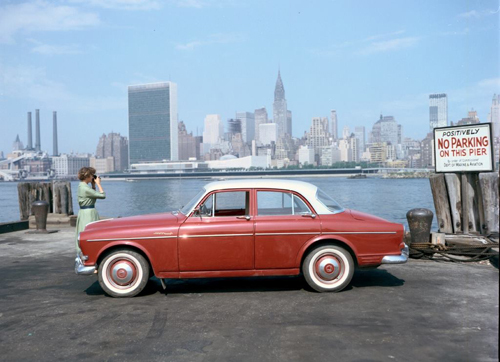 1958 – Volvo P122S Amazon at 44th Dr in Long Island City with view on United Nations HQ on Manhattan. 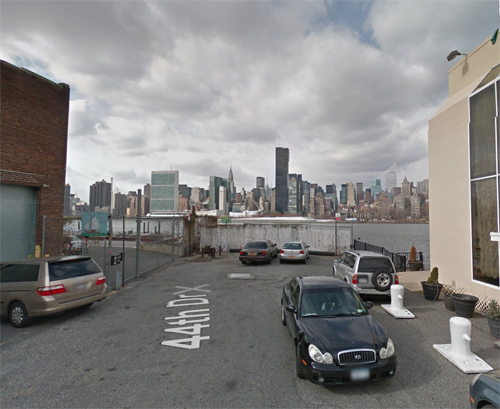 44th Dr is a street in Long Island City, Queens NY that runs between the East River and Jackson Av and Thompson Av. 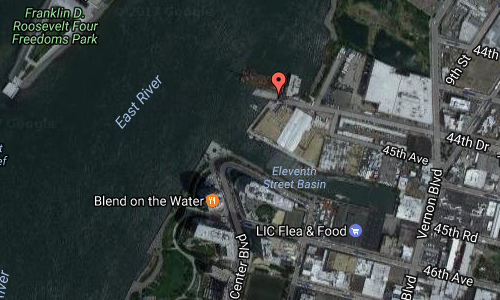 Today, there are plans to create here a new pier with a ferry line between Long Island City and Manhattan. Previous, there also has been a car ferry leaving from this point. Long Island City (L.I.C.) is the westernmost residential and commercial neighborhood of the New York City borough of Queens. L.I.C. is noted for its rapid and ongoing residential growth and gentrification, its waterfront parks, and its thriving arts community. L.I.C. 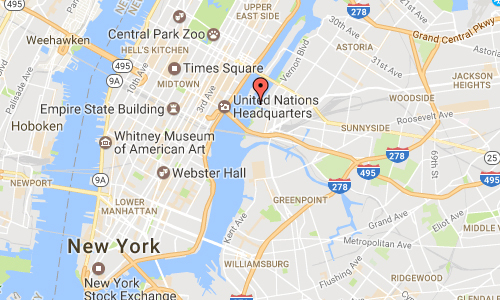 has among the highest concentration of art galleries, art institutions, and studio space of any neighborhood in New York City. Long Island City is the eastern terminus of the Queensboro Bridge, also known as the 59th Street Bridge, which is the only non-toll automotive route connecting Queens and Manhattan. Northwest of the bridge terminus are the Queensbridge Houses, a development of the New York City Housing Authority and the largest public housing complex in North America. Cars enter by the Pulaski Bridge, the Queensboro Bridge, the Queens–Midtown Tunnel, and the Roosevelt Island Bridge connecting Long Island City and Astoria to Roosevelt Island. Major thoroughfares include 21st Street, which is mostly industrial and commercial; I-495 (Long Island Expressway); the westernmost portion of Northern Boulevard, which becomes Jackson Avenue (the former name of Northern Boulevard) south of Queens Plaza; and Queens Boulevard, which leads westward to the bridge and eastward follows New York State Route 25 through Long Island; and Vernon Boulevard. 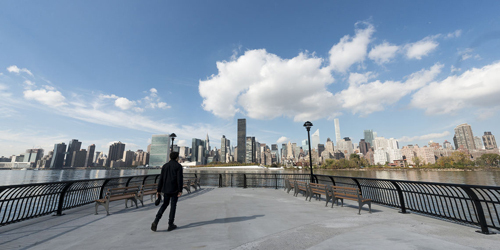 Long Island City is expected to be served by the Citywide Ferry Service starting in 2017.